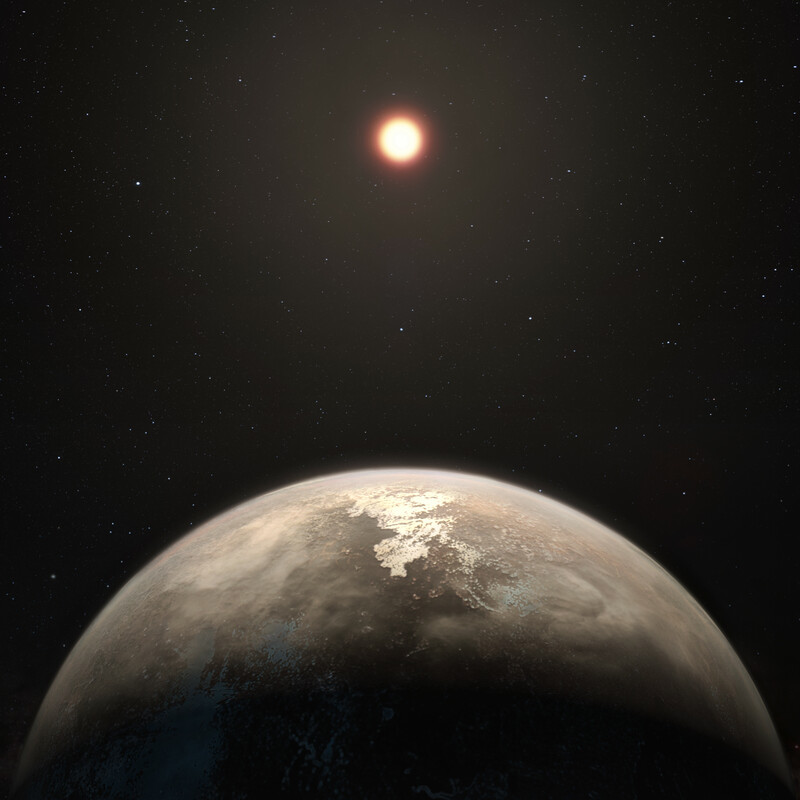 This artist’s impression shows the temperate planet Ross 128 b, with its red dwarf parent star in the background. 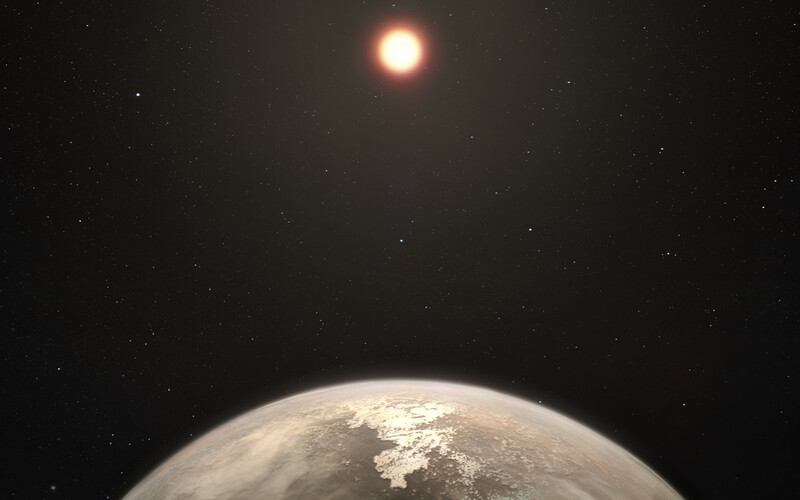 This planet, which lies only 11 light-years from Earth, was found by a team using ESO’s unique planet-hunting HARPS instrument. 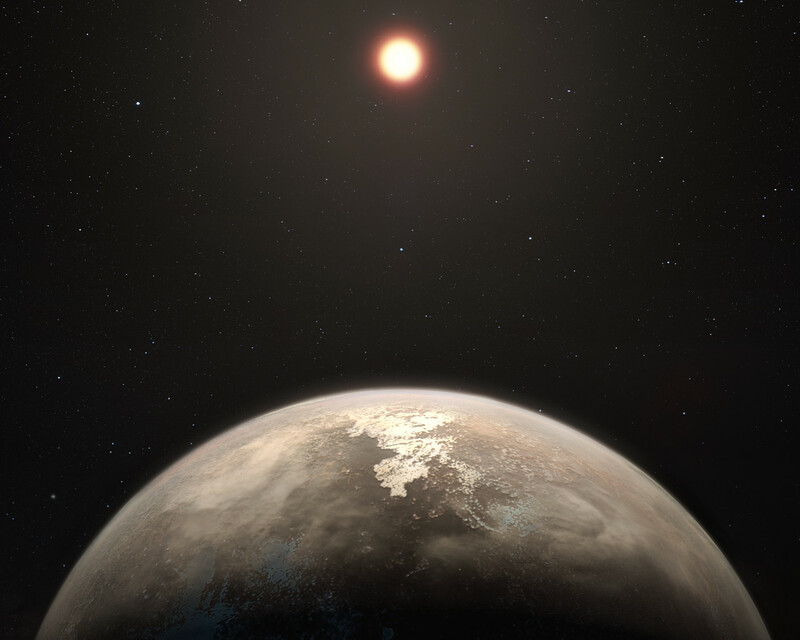 The new world is now the second-closest temperate planet to be detected after Proxima b. It is also the closest planet to be discovered orbiting an inactive red dwarf star, which may increase the likelihood that this planet could potentially sustain life. 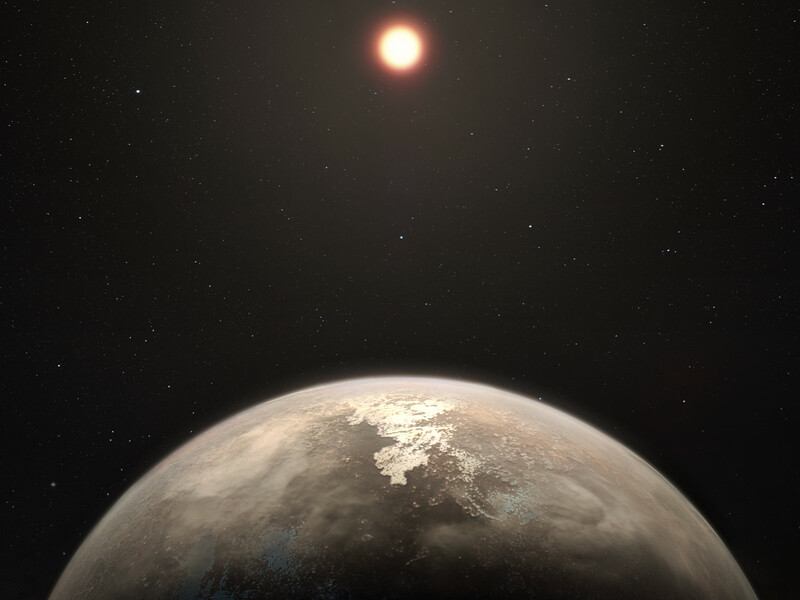 Ross 128 b will be a prime target for ESO’s Extremely Large Telescope, which will be able to search for biomarkers in the planet's atmosphere.